Because you work hard at school, you deserve to be in vacation mode outside of class. 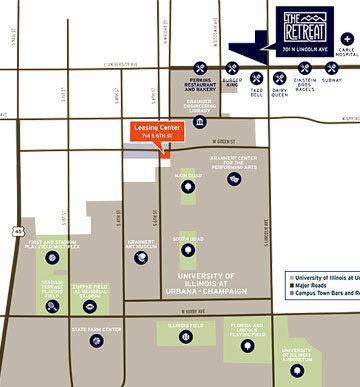 At The Retreat At Illinois, we offer a new type of off campus housing near University of Illinois at Urbana-Champaign. There are no drab dorms or boring features here. Rather, we have fully furnished, multi-level townhomes with private bedrooms, premium appliances, and custom-designed furniture packages. We also feature an array of resort-style amenities. And we're close enough to campus that you can be plugged in to school affairs but still enjoy the freedoms associated with living off campus! Need a pick-me-up while studying? Get your coffee buzz on any time you wish! 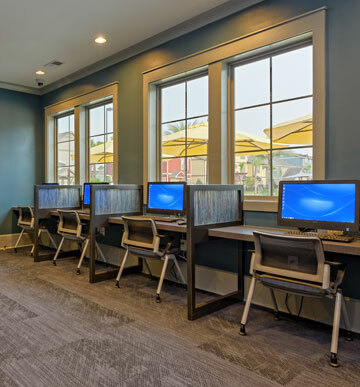 With games, refreshments, TVs, Wi-Fi, plus tons of seating, the clubhouse is your go-to place for student activities. Two stories of cutting-edge fitness gear are ready and waiting for your favorite workouts! Only minutes from UIUC campus, local restaurants, and nightlife! Whether you like Macs or PCs, we've got the tech you need, plus free printing. What distinguishes our community from other student apartments near UIUC? It's the lifestyle! Take our residences, which feature every detail students could ask for. The floor plans range from two to four bedrooms, which are individually keyed and have private bathrooms. The shared spaces, whether it's the living room, kitchen, or dining area, are bright, roomy, and ideal for entertaining guests. 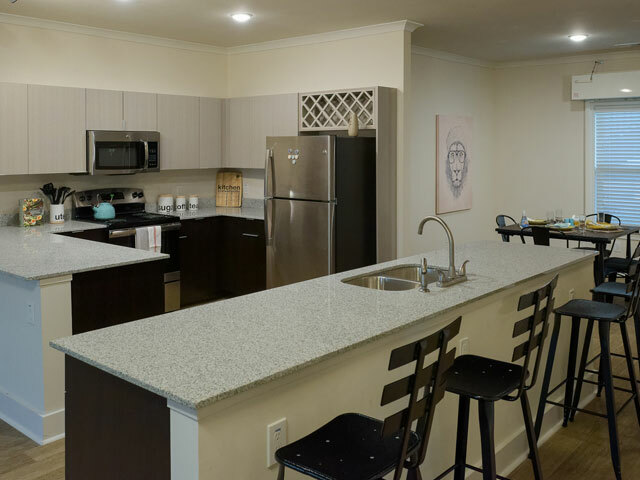 And because we offer fully furnished townhomes with modern furniture packages and stainless-steel appliances, you can move in and feel right at home. 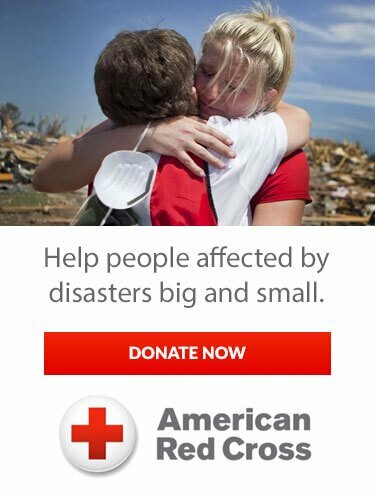 Our housing is only the beginning. We also have a collection of amenities, which give our community an upscale, resort-quality atmosphere, and allow residents to live life to the fullest every day. 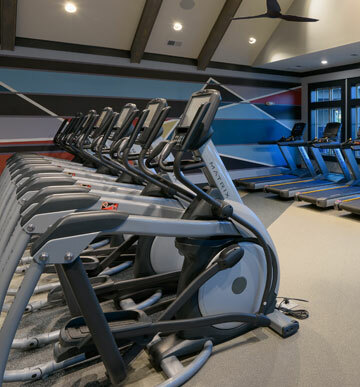 Whether you prefer working out, swimming, barbecuing, gaming, or studying, we accommodate these and more activities. But there are also fun things you can do in Urbana, as well, considering we're located in a prime location - near campus but also close to dining, shopping, and other places you want to be! All it takes is one look inside our townhomes for you to imagine how great student living can be! Our furnished apartments not only look modern and stylish, but every feature is also functional and designed with your needs in mind. 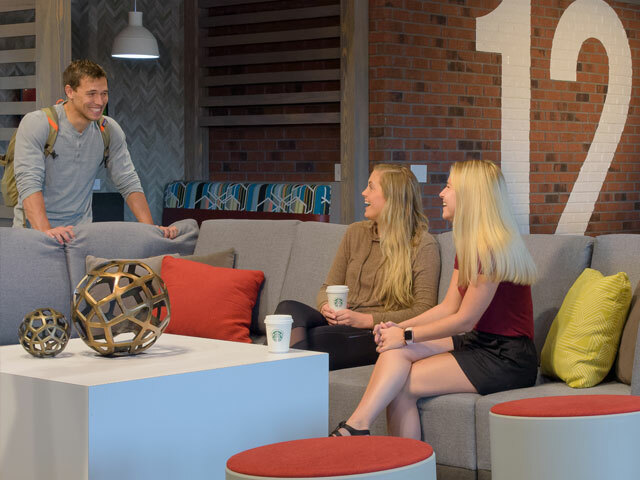 Student living is a lifestyle all its own, defined by an equal balance of school work and life experiences. We have amenities to help you with both sides of this equation. From quiet study rooms to lively social spaces, we've got amenities fit for how you live. No matter the amount of living space you need, we've got a floor plan to match. In total, we offer 10 apartment layouts with 2, 3, or 4 bedrooms. Each unit has individually keyed bedrooms and private bathrooms, while the varied square footages mean you can pick a unit that fits your budget and preferences. Plus we have roommate-matching available. For many students, making friends is a highlight of the college experience. In our community, you have ample opportunities to meet new people. Our townhomes are mini-communities in themselves, where residents can hang out and create memories in the living areas they share. We also offer roommate-matching services, which pair up students with similar interests. 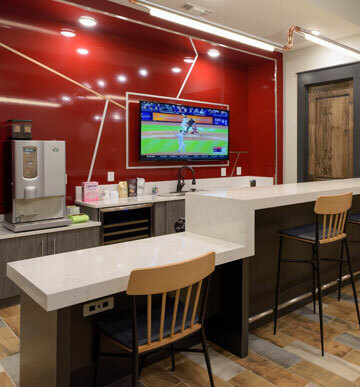 The amenities we offer also foster social interactions, while the fact that our residents are all members of the UIUC family means you always have something in common with your neighbors. Where you live during college can affect your life in several ways, including how you perform in the classroom. That's why the idea of modern living appeals to so many students. When you have a comfortable, furnished home to return to after the school day, you're able to relax and live a more complete and fulfilling lifestyle. 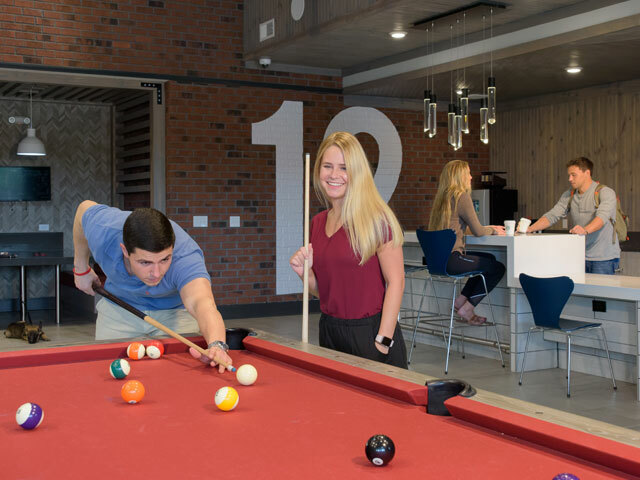 And with access to community amenities, you always have a quiet place to study, a gym in which to work out, and a pool area to swim, grill, and play games with friends. 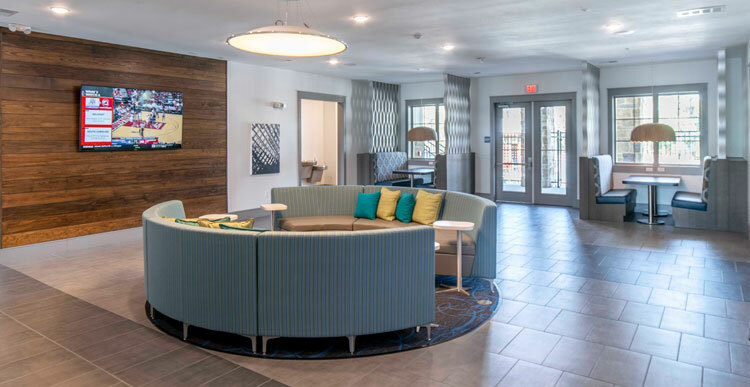 From incoming freshman to graduate students, our furnished townhomes, resort-style amenities, and student-focused culture are appropriate for all residents who attend UIUC. We also strive to accommodate the student lifestyle with individual housing contracts to rent by-the-room, free roommate matching services, as well as a leasing schedule that follows the school year. 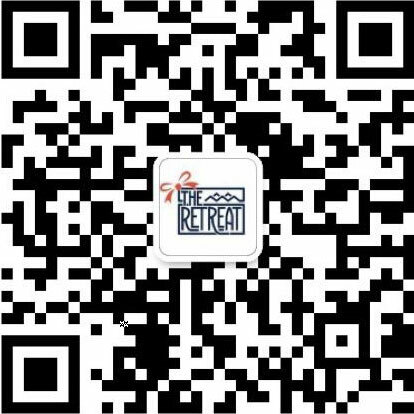 For more information about The Retreat At Illinois, join our VIP list today!